If you love mountain biking, you should probably buy Dice a beer. Photo by Stevil Kinevil. 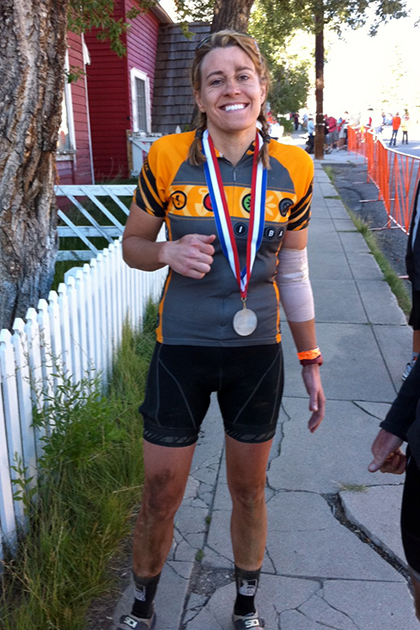 When Jenn Dice decided to ride the Leadville 100 trail race, mountain biking in the United States changed forever. She was working for her state legislature and dealing with a recent breakup. Training for the epic 100-mile, high-altitude event was a challenge that gave her a new purpose. And she loved it. Leadville led to a chance meeting with Tim Blumenthal, then the director of the International Mountain Bicycling Association (IMBA), who was looking to hire a lobbyist. Jenn politely handed off her business card, but didn't expect anything to come of it. But something did come of it. Blumenthal brought Jenn onto the IMBA staff, where she would act as the organization's Director of Government Relations from June 2001 until February of 2013. If you're an average mountain biker with a full-time job and a family, who figures that staying involved with the sport means reading a write-up on the newest suspension fork to hit the market, or that you watched Brandon Semenuk's latest video edit, you could be forgiven for not understanding the impact of having Jenn Dice in your corner. But you should be humbled by what her work has done for you. Dice charges on and off the bike. She has been known to take home a few medals. I have no doubt that the soft-spoken Dice—though she can talk faster than just about anyone I've ever met—would shrug off that last statement, perhaps even blush internally a little bit. She would simply consider it doing her job, which is signature Jenn Dice. "Jenn always held her cards close to the vest, as they say, with things that were going on politically," said Mike Van Abel, IMBA's Executive Director. "[It was] out of concern that the enemies of mountain biking could use it against us. "She worked tirelessly to gain access to very high levels of government, including the oval office—the White House. "I would credit Jenn with opening those doors to the point where today, it is not unheard of at all for IMBA and mountain bikers to be invited to the metaphorical table … where people sit around and make decisions about how public lands are used… . We're there because of Jenn." Advocacy affects change and public policy at a "glacially slow pace," to steal a phrase from Van Abel. One does not enter into the world of advocacy without an incredible passion for something. 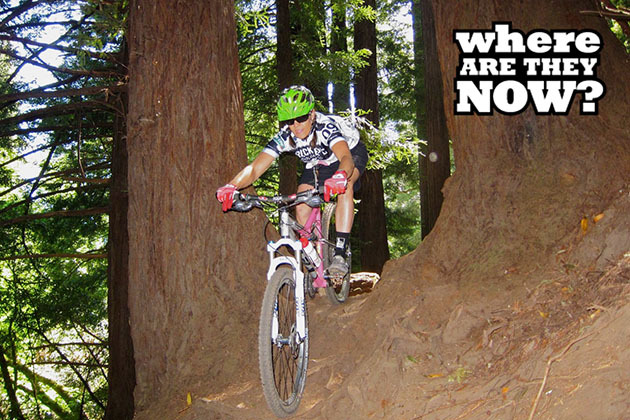 For Jenn, that passion has been cycling, mountain biking. In 2013, Tim Blumenthal, Jenn's original boss at IMBA, completed his professional courtship of her and she joined the crew at People for Bikes. 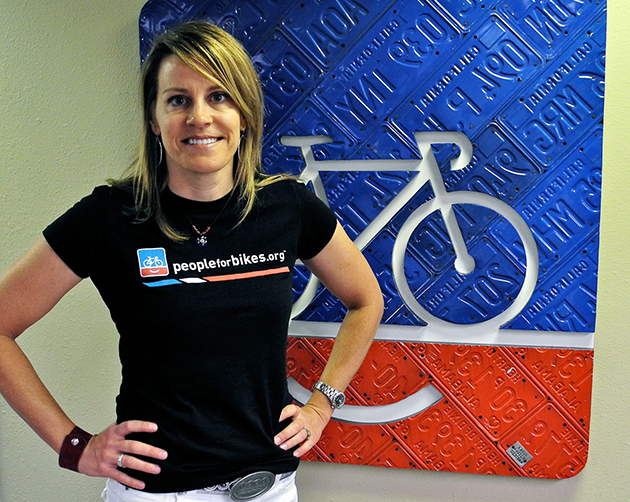 With her new title Vice President of Government Relations, Jenn has been charged with creating a department that will be the over-arching lobbying group working on behalf of everyone who rides a bike in the U.S. In August of this year, when riders take the starting line for the Leadville Trail 100 mountain bike race, Jenn won't have a number pinned to her—won't be seeking to add to her impressive collection of belt buckles. Dice may not wear a bib, but she is certainly in the race for all bikers. Her upcoming nuptials—combined with her advocacy work—have her concentrating on things other than preparing to ride a high-altitude, 100-mile mountain-bike race. Instead of training for Leadville, Jenn jokes that she is "training for the wedding." Of course she'll be there in Leadville, giving back, crewing for people who have often done the same for her, and making sure that the post-race party she is hosting goes off without a hitch. In 2011, the editors of Outside Magazine named Jenn Dice to their Power List as one of the 25 "most influential people in the world outside." They opened her profile with the declaration that, basically, if you ride a mountain bike, you owe her a beer. Though I've known Jenn to enjoy the odd beer, I think she'd be satisfied if you just went to peopleforbikes.org and added your name to the list. #jenn dice #where are they now?